To attend a hiring event, please reserve a spot prior to the event. 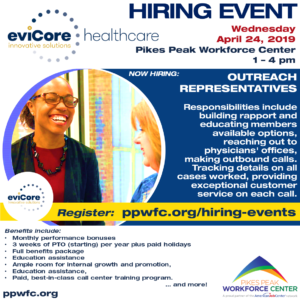 Unless otherwise noted, all Hiring Events are held at the PPWFC main office, 1675 Garden of the Gods Road, Colorado Springs, 80907. *Note: Veterans and other covered persons are entitled to priority of service in all U.S. Department of Labor-funded employment and training programs in accordance with Public Law 107-288. 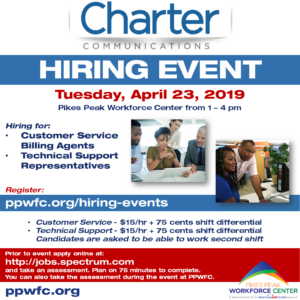 If you qualify for priority of service and receive a message indicating the Hiring Event has reached capacity, call: (719) 677-3814. NOTE: THIS SCHEDULE CHANGES OFTEN! Luce Research is a Data Collection Specialist that conducts surveys via phone/web in such areas of Market Research; Political Research, Voter Contact, etc. Hiring part-time positions with flexibility in setting up your schedules. Shifts are seven days a week and have immediate openings for English and Bilingual Telephone Interviewers who will conduct these surveys through a computer aided Telephone Interviewing system (CATI System). Salary starts at $11.10/hr. 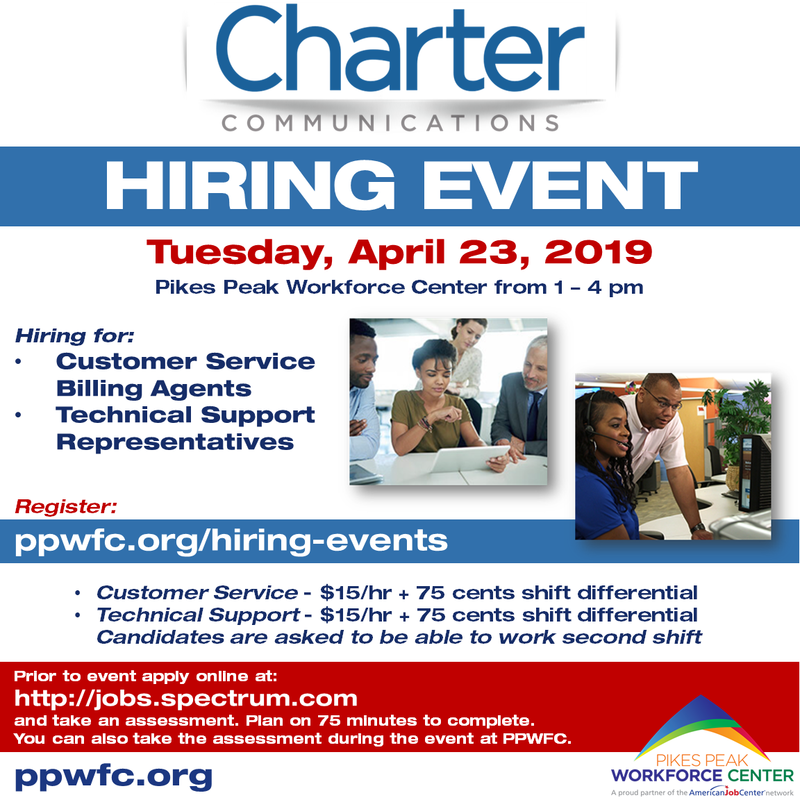 Come prepared with two forms of ID and be ready to interview at the PPWFC hiring event or go directly to Luce Research LLC located at 5086 List Drive, Colorado Springs, CO 80919, Monday to Friday between the hours of 9 am to 4 pm to apply. We will be hiring Customer Service Billing Reps and Technical Support Representatives. Apply online today!! Take an assessment – plan on 75 minutes to complete preferably before coming to the hiring event. The hourly pay is $15/hr plus 75 cents shift differential for the 2nd shift. Please contact Malissa.Wallace@charter.com or 719-457-4453 with any questions. NOW is the time to join WIS International. WIS is more than just a place to work. We’re a successful international team providing inventory expertise to top retailers and warehouses, while using the most advanced hand-held computer technology in the industry. We have an immediate need for • Inventory Associates who like to work varied hours and count inventory as a team. Voluntary van transportation is offered for our “out of town” inventories. Also in need of qualified • Drivers. To qualify as a driver, you must meet the Inventory Associate requirements AND possess a driving record free of any at fault accidents or driving violations within the past 24 months. Be at least 23 years old and have at least 5 years of current uninterrupted licensed driving experience. Apply at w3.wisintl.com before coming to the hiring event. Follow the Careers link to search for keyword Inventory Associate under the location of Colorado Springs. Come prepared to interview. Please reach out to Rachel Standridge at Rachel.Standridge@evicore.com for questions and details. Are you a self-motivated, detail-oriented customer service professional with a strong work ethic looking for a job in the booming healthcare industry? If so, you’re in luck. A career in healthcare begins here. 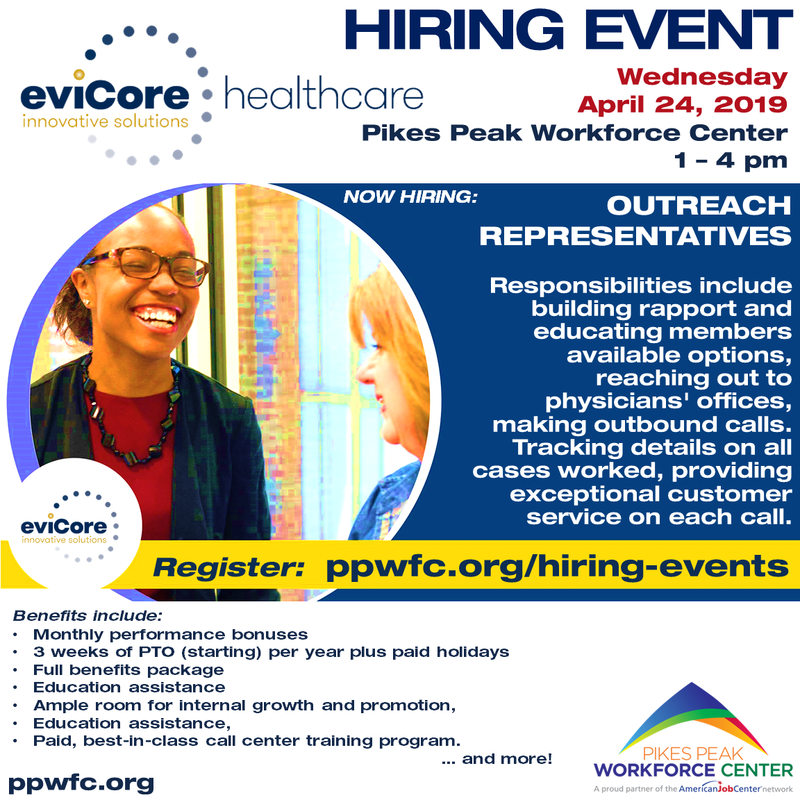 eviCore healthcare is looking to hire Member Outreach Representatives. Come prepared with your résumé as we will be hiring and making offers on the spot at this event. We will be conducting onsite interviews and computer assessments. To be a strong fit, you will also need to have a high school diploma or GED equivalent, demonstrate computer literacy, and use excellent communication skills. Join our team and transform not only the quality of healthcare, but also your career. We offer our Member Outreach Representatives a variety of perks, including, but not limited to, monthly performance bonuses, 3 weeks of PTO (starting) per year plus paid holidays, full benefits package, ample room for internal growth and promotion, education assistance, and our paid, best-in-class call center training program. 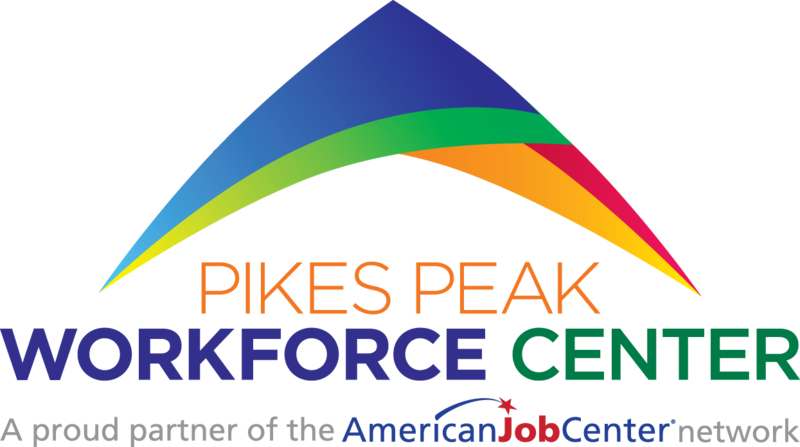 El Paso County is hiring for multiple Seasonal positions for the Park Department, Department of Public Works, and Recreation & Cultural Services. Jobs will include Maintenance Worker Seasonal, Park Maintenance Seasonal & multiple positions with our Nature Centers, including Seasonal Summer Nature Center Camp Assistants and Seasonal Nature Center Interpreter to name a few. Seasonal positions have a maximum duration of five (5) months. Computers will be on-site for candidates to apply immediately if interested. Come prepared to ask questions and learn more about opportunities to serve your community as a seasonal employee with El Paso County!